The GT class Lotus Evora with the Cosworth engine was one of THE best sounding cars I saw at the Petit Le Mans this past autumn……and i’m really pleased to see Lotus expanding their entry into the LMP2 level. Very exciting stuff indeed! 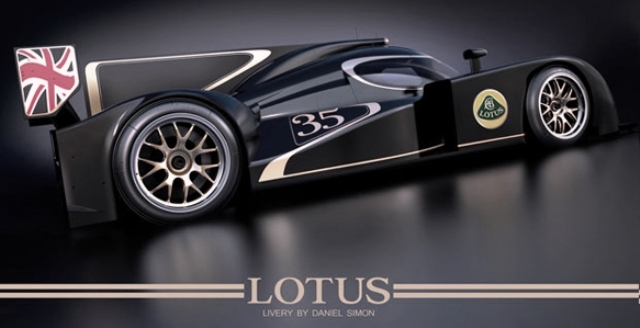 “The Kolles-run Kodewa squad will campaign two Lola B12/80s under the Lotus title, with Lotus-badged V8s from John Judd’s Engine Developments, which is also building the sports car maker’s IndyCar engine. Lotus motorsport director Claudio Berro said the partnership was an ideal way for the group to take a step up the endurance racing ladder after returning to the GT class with the Evora last year. I’m looking forward to Heidfeld running it off the road in his Rebellion. Revenge!